Tunisia celebrates its Independence Day on March 20 every year. 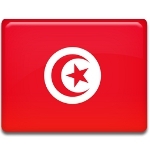 This is the country’s national holiday that commemorates the anniversary of Tunisia’s independence from France. Historically, the territory of what is now Tunisia was inhabited by Berber tribes. During the Antiquity and the Middle Ages, the region was conquered by Carthage, the Roman Republic, and Arab Muslim forces. In 1534, Tunis was conquered by the Ottoman Empire. The next year, Holy Roman Emperor Charles V captured it in turn. Spain and the Ottoman Empire fought for control over Tunisia for four decades, until the Ottoman Empire finally reconquered it from Spain in 1574. During the Ottoman rule, Tunisia was an autonomous province. Under its Turkish governors, it attained virtual independence. Everything came crashing down in the 19th century, when the Bey of Tunis attempted to modernize the country’s economy. Due to unsuccessful reforms, the international debt of Tunisia grew unmanageable. This paved a way for France to establish a protectorate in the region. In 1856, Tunisia declared itself bankrupt and agreed that an international financial commission would take over its economy. Meanwhile, the French government wanted to expand its colonial empire in Africa. In 1881, the French invaded Tunisia using the pretext of a raid of Algeria by a Tunisian tribe. The Bey was forced to agree to the terms of a treaty with France which officially made Tunisia a French protectorate. The declining Ottoman Empire formally protested the actions of France, but did nothing to win Tunisia back. The first independence movement in Tunisia was formed in 1907. The country’s earliest political parties striving for independence were the Young Tunisians, the Constitutional Liberal Party (Destour), and the New Constitutional Liberal Party (Neo Destour). Neo Destour was led by Habib Bourguiba, who would go on to become the leader of independent Tunisia. The French authorities banned Neo Destour and send Bourgiba to a French prison. He returned to Tunisia after World War II and proposed a concept of gradual independence. His proposal was supported by most Tunisians, but France wasn’t so eager to let go of its colonies, which led to a series of confrontations. Independence talks between France and Tunisia began in 1954. After nearly two years of negotiations, France agreed to Bourgiba’s plan despite the heated objections of the French settlers. On March 20, 1956, Tunisia became an independent state. Although the Franco-Tunisian protocol was never formally ratified, the new Tunisian government, led by Bourgiba, deemed the country to have achieved full sovereignty. On the occasion of Independence Day, the government of Tunisia holds a celebration with luncheons and speeches as well as remembrance ceremonies in honor of the people who died during confrontations with the French authorities. Local leaders may participate in wreath-laying ceremonies at cemeteries where those who gave their lives for independence are buried.